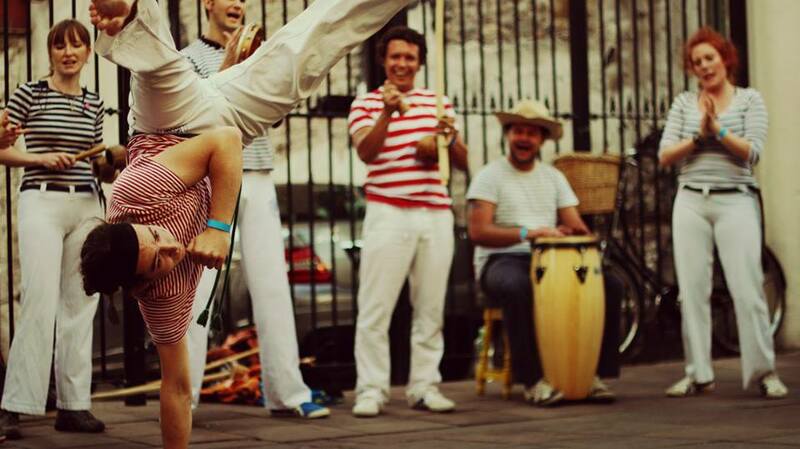 Capoeira is for everybody, and we have people of all ages and abilities in our group. We teach to the level of the peope in the class, so there will be movements everyone will be able to do. All our classes are mixed ability, and suitable for everyone, but our early Tuesday classes, and Wednesday lunchtime classes are specifically aimed at beginners. No pre-training is needed as the classes are designed to get your fitness levels up. 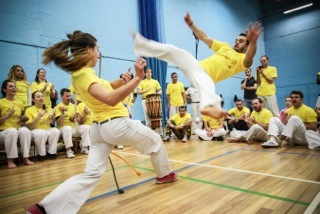 You will find that after a few weeks of training capoeira, you will start to notice new muscles, improved flexibility and improvement on general stamina. We are happy to inform that capoeira classes for kids will start on the 25th of February. Do you do performances and events? Yes we do, please click the 'more...' tab at the top to view our Performances & Events page.